While Wednesday marked the first day of the NBA’s pre-draft combine, it almost exclusively featured the off-the-court action at the five-day event that flies a bit under the radar in terms of media coverage. From interviews with NBA team officials and photo shoots in front of the camera to player measurements, Wednesday’s activity, which began early Wednesday afternoon and runs through the evening, was merely an orientation of sorts for the nearly 70 draft hopefuls who made the trip to Chicago this week for the combine. 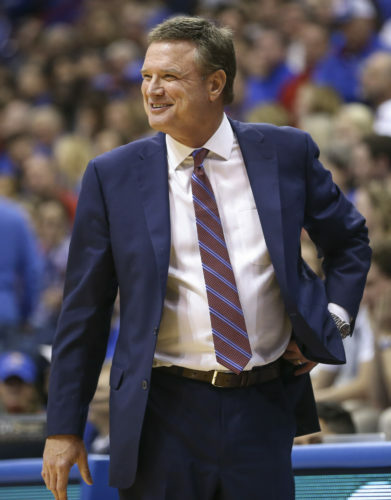 The Kansas basketball program will be well represented throughout the week, with former Jayhawks Devonte’ Graham, Svi Mykhailiuk and Malik Newman, along with current KU center Udoka Azubuike and never-was Jayhawk Billy Preston also at the showcase. The action will pick up substantially throughout the day today, when the players run through shooting drills, athletic testing and live scrimmages in front of front office types and NBA coaches and scouts for much of the afternoon. The live action stuff will follow a second round of team interviews Thursday morning. Check ESPN2 and the WatchESPN app for coverage of the drills and scrimmages from 2-6 p.m.
Thursday is the day when most of the elite prospects who attended the combine will get their longest looks before moving on and paving the way for the players who are likely to be taken in the late-first and second round of the June 21 NBA Draft to take center stage. Friday will feature more interviews, drills, testing and scrimmages and throughout the day and a meeting with representatives from the NBA’s Players Association in the evening. On Saturday and Sunday, it’s more meetings with NBPA reps and the NBA’s player development group along with medical testing for all combine participants who remain. 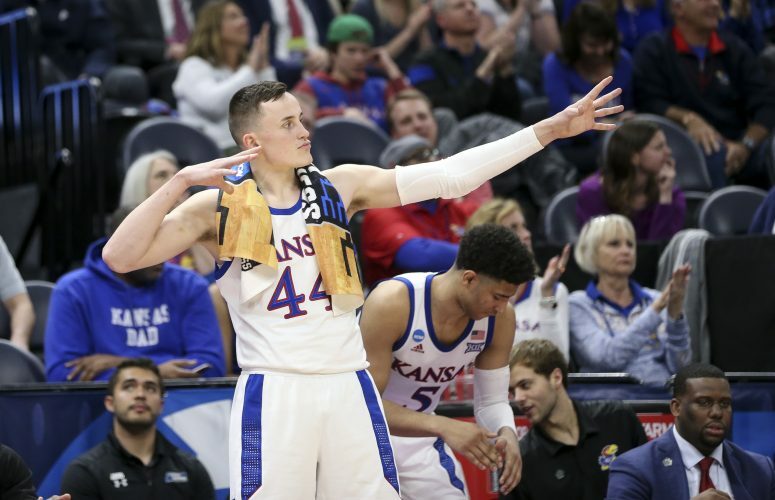 From there, the former Jayhawks and their peers will leave Chicago to return to their agents and trainers to prepare for team workouts that will take place during the next couple of weeks. Graham will be one of the few players who will stick around The Windy City an extra day to attend a Chicago Bulls team workout on Monday. Graham also will be one of those players who figures to really benefit from the off-the-court aspects of the combine as much as what he’s able to do on the court. As for the physical aspects. People know Graham can shoot, they know he’s tough, they know he’s a natural-born leader and they know he now has true point guard skills. 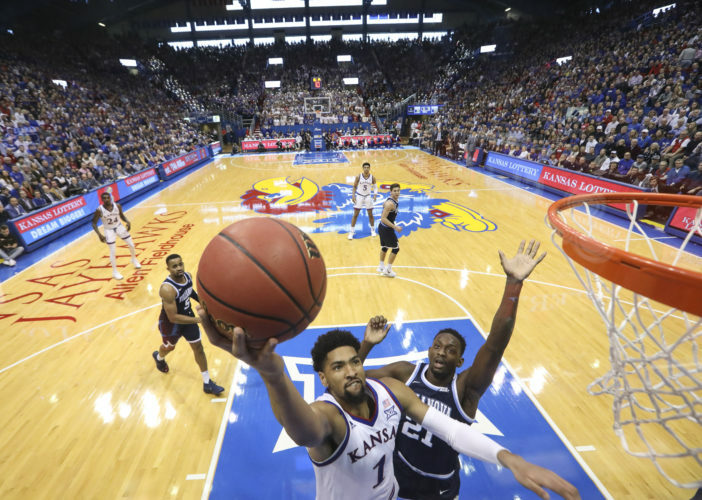 But the recent KU graduate from Raleigh, N.C., said recently that the combine could provide him the platform to flash a few elements of his game that NBA evaluators may not be aware of at this point.
.@iammaliknewman (@KUHoops) rises high at the #NBACombine!